Problems connected with the use of quantum-cascade lasers (QCLs) in biomedical practice are discussed. 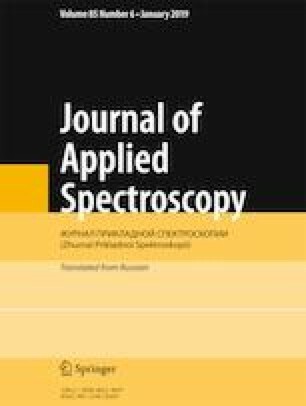 A comparative analysis was made of laser spectroscopic methods for noninvasive diagnostics of diseases by exhaled air; examples of the practical implementation of this idea based on QCL are given. The use of QCL in traditional laser surgery and laser angioplasty is discussed. Particular attention is paid to terahertz imaging of soft tissues, as well as to microspectroscopy and its use in the creation of hyperspectral images of biological tissue in the midinfrared range. A number of problems associated with the use of QCL in medicine are raised, and possible directions for promising research where QCL can play a decisive role are indicated. Translated from Zhurnal Prikladnoi Spektroskopii, Vol. 86, No. 1, pp. 5–32, January–February, 2019. I. I. Zasabitskii, XII All-Russia Youth Concourse-Conference on Optics and Laser Physics, 12–16 November 2014, Samara (2014); http://www.myshared.ru/slide/968796. Composition of Exhaled and Alveolar Air [in Russian], http://www.amedgrup.ru/vozduh.html.